The control group is composed of participants who do not receive the experimental treatment. When conducting an experiment, these people are randomly selected to be in this group. They also closely resemble the participants who are in the experimental group or the individuals who receive the treatment. While they do not receive the treatment, they do play a vital role in the research process. Experimenters compare the experimental group to the control group to determine if the treatment had an effect. By serving as a comparison group, researchers are able to isolate the independent variable and look at the impact it had. Why Is It Important to Have a Control Group? While the control group does not receive treatment, it does play a critical role in the experimental process. This group serves as a benchmark, allowing researchers to compare the experimental group to the control group to see what sort of impact changes to the independent variable produced. Because participants have been randomly assigned to either the control group or the experimental group, it can be assumed that the groups are comparable. Any differences between the two groups are therefore the result of the manipulations of the independent variable. The experimenters carry out the exact same procedures with both groups with the exception of the manipulation of the independent variable in the experimental group. 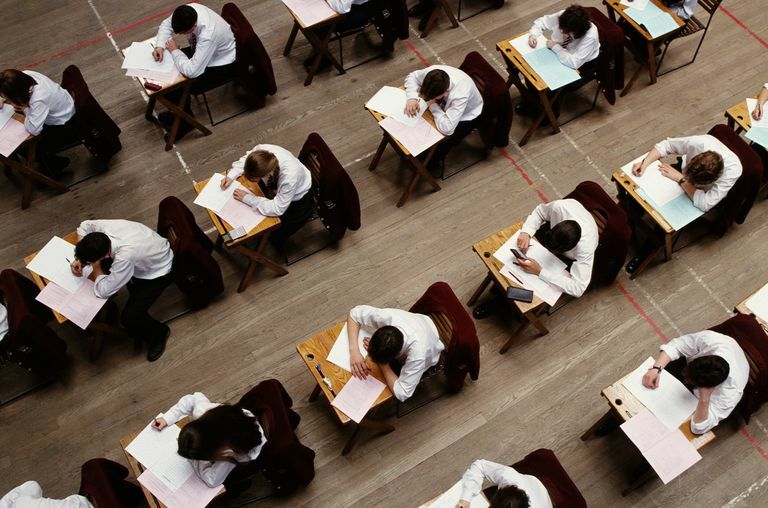 Imagine that a researcher is interested in determining how distractions during an exam influence test results. The researcher might begin be operationally defining what they mean by distractions as well as forming a hypothesis. In this case, he might define distractions as changes in room temperature and noise levels. His hypothesis might be that students in a slightly warmer and noisier room will perform more poorly than students in a room that are normal in terms of both temperature and noise. To test his hypothesis, the researcher selects a pool of participants who are all taking the same college math class. All students have been given the same instruction and resources over the course of the semester. He then randomly assigns participants to either the control group or the experimental group. Students in the control group take a math exam in their normal classroom. The room is quiet for the duration of the test and the room temperature is set as a comfortable 70 degrees Fahrenheit. In the experimental group, students take the exact same test in the exact same classroom, but this time the independent variables are manipulated by the experimenter. A series of loud, banging noises are produced in the classroom next door, creating the impression that some type of construction work is taking place next door. At the same time, the thermostat is kicked up to a balmy 80 degrees Fahrenheit. As you can see, the procedures and materials used in both the control and experimental group are the same. The researcher has used the same room, same test administration procedures and same test in both groups. The only thing that differs is the amount of distraction created by noise levels and room temperature in the experimental group. After the experiment is complete, the researcher can then look at the test results and start making comparisons between the control group and the experimental group. What he discovers is that the test scores on the math exam were significantly lower in the experimental group than they were in the control group. The results support his hypothesis that distractions such as excess noise and temperature can affect test scores.